The leopard is among the most sought-after of trophies. If all goes well, you'll be rewarded a rush of adrenaline like you’ve never felt. While common in most areas, the leopard is listed as vulnerable on the IUCN Red List because leopard populations are threatened by habitat loss and fragmentation, and are declining in some parts of the global range. There are huntable populations in most of the countries of Southern Africa (although some don’t allow it). Leopards are among the most sought-after trophies, but also the hardest to obtain. They are solitary, predominantly nocturnal, and very wary. Success rates in leopard hunting is much lower than with most other species. Leopard hunting is a specialized hunt, where you be rewarded with the rush of adrenaline like you’ve never felt before, PLUS a magnificent trophy that will remind you of those dark African nights. 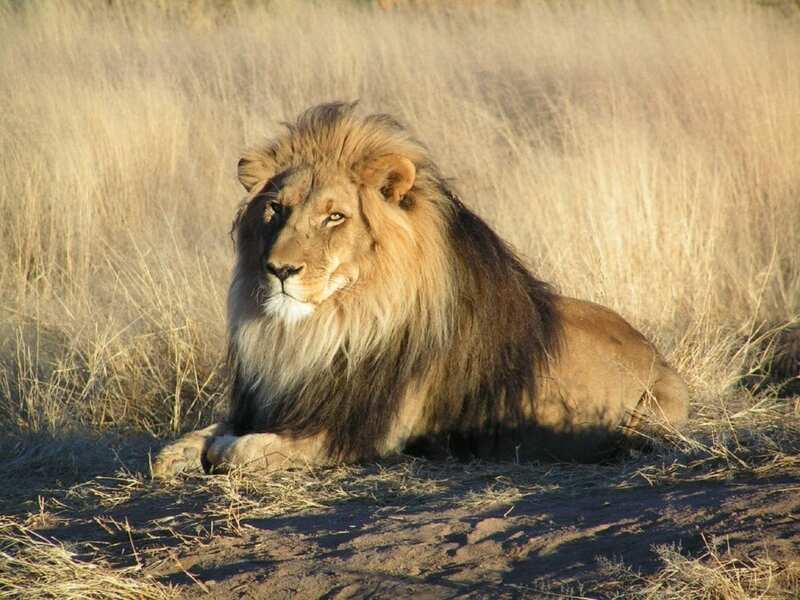 It has been said that you hunt lion with your heart, and leopard with your brain! If a professional hunter does five leopard hunts in a year and shoots four, that is only 80%. That by the way is an outstanding year. So your chance when hunting is only 80% at the very best. When you see at the conventions people advertising that they are 100% on cats, what they are really saying is 100% on quota, i.e. five cats, seven clients. hunting them with hounds or Bushman trackers is increasing rapidly in popularity. This is not a plains game hunt, and is not for the faint-of-heart. It is a specialized hunt and you should stay very focused. Leopard hunts take place out of a blind over bait at night. If you are very lucky, they will come in at dawn or at dusk, but don’t count on it. Be prepared for long, motionless hours in the blind . You will hear every sound and movement from outside the blind as you sit and wait for the distinctive, “throaty coughing” calling sound or, better yet, the sound of him eating at the bait. You hear every leaf drop, every animal walk by, every insect. You can get lost in your thoughts and allow yourself to close your eyes even though you are as uncomfortable as hell…. but then, you hear the sound of bones crushing or flesh ripping, and every sense goes to High Alert! At that point, the darkness becomes your friend as you wait anxiously for the moment when the PH switches on the light . You will have one shot, and one shot only. Make it count. During the days, you check baits, move blinds and maybe even hunt for more bait. Only a few hunters have experienced the adrenaline of leopard hunting as only a privileged few determined hunters get the chance… and only the hunters that persevere and are rewarded with the trophy of a lifetime. Any mature male should be considered a trophy, but some leopards in this area can be true monsters. The PH will use trail cams at the baits, so you should know the caliber of leopard that you are hunting. Success rates on leopard hunting is never 100% as they are too wary, and there are too many variables. It is like a chess game. Success is likely, but you may have to return for a second safari. Leopard hunting is difficult. Leopard hunting is one of the most difficult hunts there is. It requires planning, an extreme, technical setup, patience and a good dose of luck, but oh… the sweet reward. Your PH will have trail cameras on the baits so you know the caliber of leopards hitting the baits. You don’t need a large caliber rifle or even premium bullets for leopard hunting. A 7×57 or .308 with standard soft point ammo is perfect. If you are shooting from a blind you will require a good quality scope on your rifle though, and ‘scope choice is probably more important than caliber used. A high magnification ‘scope is unnecessary. The leopard will not be shot at long range, but will probably be shot in poor light. An illuminated reticle of some sort is an advantage, but definitely avoid too fine a cross hairs. As for shot placement on leopards, the only trick is to remember is to place the bullet through the heart you have to shoot behind the shoulder. You really should stay focused on your leopard first, but once you have taken your leopard, you can switch to plains game hunting, or even one of the other dangerous game species. 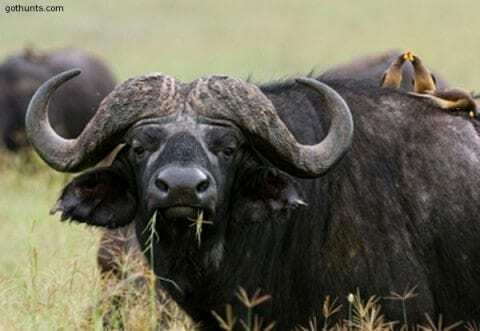 Cape buffalo are almost always available in the same area. Also, during the day you may need to hunt for some more bait. Once an animal is taken, the staff will be called on the radio to take care of it and get your trophy to the skinning shed. They will take care to properly skin your animal the correct way depending on how you want it mounted. Immediately following your hunt, a taxidermist will collect your trophies and get them dipped, packed and ready for shipping. Do you dare to hunt the Prince of Darkness?